The fine folks at RE/MAX Alpha Realty in Moyock, Nc. also offer mini storage. 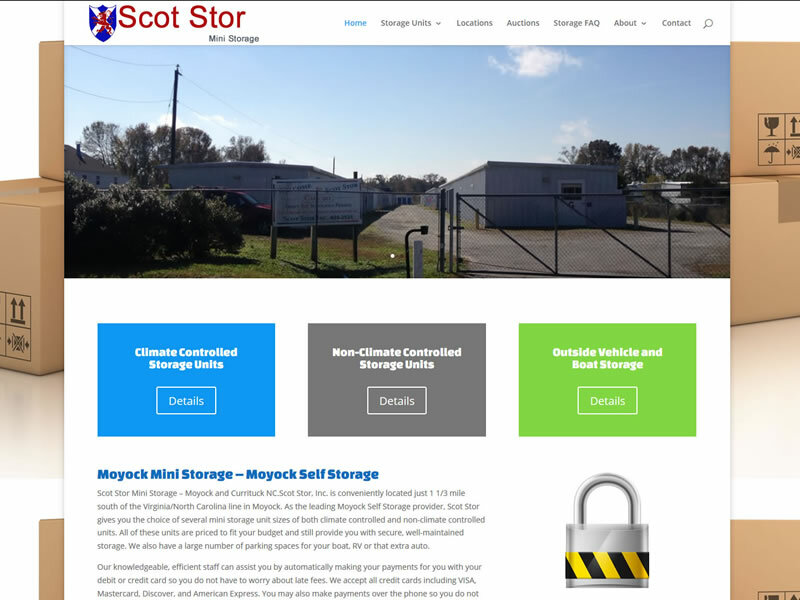 So they needed a site for their mini storage business, Scot Stor. They had a template they wanted to use for their site. We set up everything for them with the content management system. And we modified the template to suite their needs. Originally this site was completed in 2009. In late 2015, the website was given an overhaul and converted from Joomla to WordPress.